Profession: Journalist, Kiter and Kite Camp manager. “Uruau is a small village two hours drive south of Fortaleza in northern Brazil. I love the lifestyle here”. 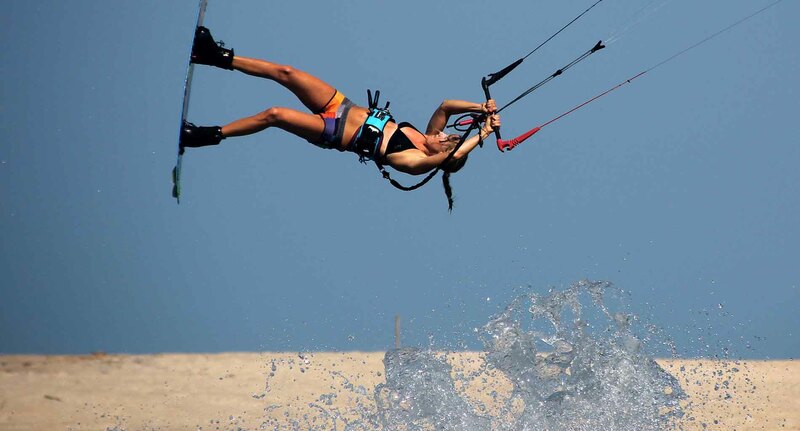 Meet Marit, a high flying kiter. I am from Asker, Norway, but I spend most of the year travelling around the world to different kite destinations. I spend every winter in the Norwegian mountains, summer in Southern Europe, and the autumn in Brazil. Why I visit My City? Uruau is a small village two hours drive south of Fortaleza in northern Brazil. I love the lifestyle here. There is not much tourism, only a few kite surfers, and some Brazilian tourists in the weekends. I spent almost three months here last year, so I got to know the locals very well. They are incredibly friendly and including. I start most days with a morning run on the bumpy street road before I have a big bowl of the super berry Acai for breakfast. Estella, “the acai lady”, has been serving kiters and neighbours healthy smoothies, fresh juices and small snacks since the kiters started coming here five years ago”. During the days we kite in the lagoon and in the ocean. When we don’t kite, we edit pictures; perform other computer work, some yoga and other training on the beach. There is not much else to do here than kiting. Uruau is a safe town, clean and beautiful place to relax, exercise and work. I rent an apartment with good friends and here we really feel like home. The beautiful sunsets! The sun goes down behind the lagoon painting the sky with all colours. The feeling of kiting with friends in such stunning surrounding is indescribable! Except from the Acai place, I really enjoy the food at Bassi Brasil, run by the Italian chef Cheffi. His passion for cooking shines through the food he prepares. His restaurant is right next to the kite spot, so this is the best place to finish an active day on the water. The chicken, the tuna steak and the lobster pasta are for sure the best dishes in town! 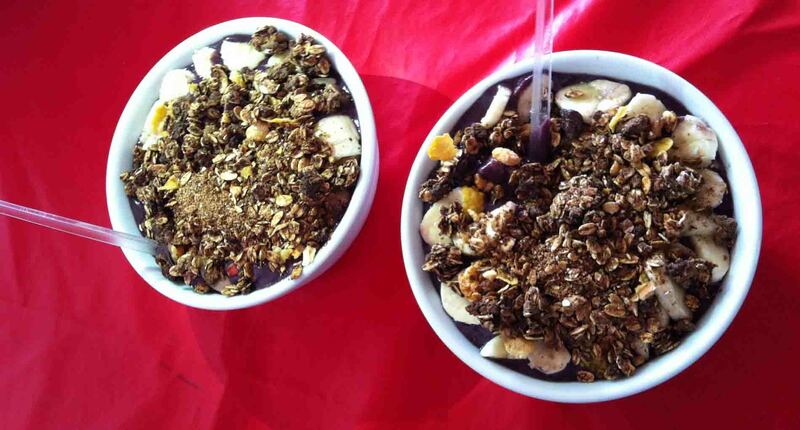 In Brazil I enjoy the fresh fruits, fish, cashew nuts and acai. In the tiny town centre there is a meeting area with two restaurants. During daytime these places are garages, and in the evening the family moves the car and puts in tables and chairs so 10-15 people can enjoy their local meals. One of the places serves burgers and Arabian bread filled with meat and chicken. The other place has one soup every night, some pies and fried pastels filled with chicken, meat, cheese or ham. There is not really any bar in Uruau, but we enjoy after kite caipirinha at Bassi Brazil and popcorn that Cheffi always prepares in the evenings. Temperanca, a high-end restaurant in town, with amazing food and the location is really nice. Open only Thursday-Monday. I always go running in the streets behind the beach and on the sand dunes. Take kite lessons if you are not kiting already! This is a very nice place to learn, and there is not much else to do other than kiting. And have a chat with the locals in town. They are very happy people and like to talk to foreigners. This is a great way to learn Portuguese. The local supermarket! There are not really any shops in town. The closest town is Beberibe, half hour drive from Uruau. Most likely a trip to Sri Lanka.